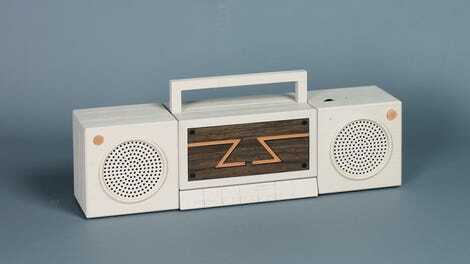 Behold: A 1982 Montgomery Ward boombox that reels cassette tape and translates invisible signals broadcast over the air into rad tunes. Okay, that’s not exactly bleeding-edge tech. But, it has one thing other boomboxes haven’t got: a working SNES Classic inside. This DIY mashup was put together by a modder named Colin, who runs a blog for modded musical hardware called Why Not Make and recently shared his creation with the Retro Gaming subreddit. 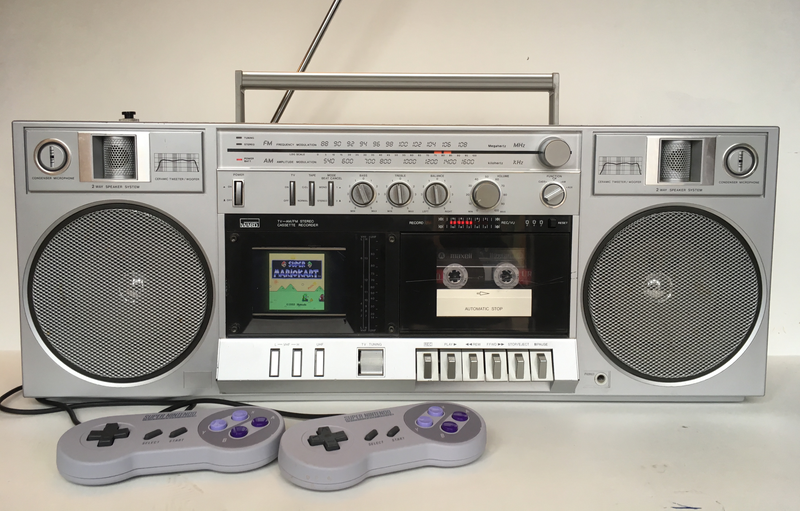 “Building the SNES Boombox took about a week (working on it an hour or so a day after work),” he said in an email to Kotaku. “It definitely required some trial and error for me to get everything to work and fit inside the boombox.” All told, Colin said he put about $250 into the system, which isn’t bad for a beautiful vintage boombox that plays Super Mario World and a bunch of other amazing games. It’s also battery-powered, so he can blast some of his favorite 90s gaming tunes no matter where he goes. “I was born in the early 80’s so I grew up with a boombox and a Super Nintendo,” Colin said, adding that the combination of the two really brings back great memories for him. The project itself was pretty straightforward—at least for someone who’s turned rehabbing old boomboxes into a major hobby. One of the really cool things about the Montgomery Ward model was that it included a tiny, black-and-white TV screen next to the cassette deck. To get the display to play nice with modern technology though, Colin replaced it with a small LCD display. The innards of the SNES Classic, which is just a tiny circuit board, were easy enough to load into the bottom left of the boombox casing, right below the speaker. That’s where the controller ports are located as well as the reset switch. From there, he has an HDMI cord running to the display and a power cord running to a 12-volt battery pack modded into the back of the boombox casing. Meanwhile, an HDMI audio extractor outputs the sounds of the SNES to the boombox’s auxiliary input, thereby linking it into the rest of the audio system. And because he added an HDMI splitter, there’s a second output that allows you to plug the SNES boombox into any other display if you want to play SNES Classic on your big-screen. Based on preliminary testing, the system’s able to stay on for nearly half a day on a single charge. Colin got his start retrofitting vintage boomboxes with Bluetooth functionality, and the SNES mod was just for fun. Now that it works though, he’s considering going on with the NES Classic as well, he said—that is, if he can get his hands on another Montgomery Ward in good shape.